A story recently broke in Houston as police were called to the Willowbrook mall to ward off a potential riot. There was also a report of 4 arrested in New York for fighting in a crowd. This chaos wasn’t created because of a protest in the name of justice. Windows on the mall weren’t broken due to angry looters. 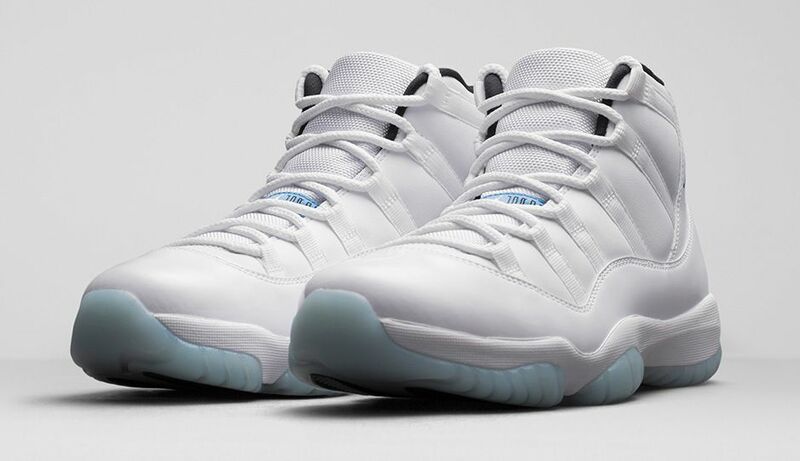 No, these events occurred because of a shoe: The Air Jordan 11 Retro “Legend Blue”, to be exact. Today, as Demario Bailey’s twin brother, Demarcio, celebrates his 16th birthday without his brother and, as the family struggles to pay for his funeral, I can’t help but wonder what’s wrong with the Black Community’s priorities? Barely three weeks ago, riots and protests surged following the Grand Jury’s decision not to indict Officer Darren Wilson- accused of shooting unarmed Michael Brown in Ferguson, MO. As the Black Community reeled with disappointment and anger many people began to seek ways create to solidarity and get justice. Then about a week later, in early December, NYPD officer Daniel Pantaleo was not indicted on the chokehold death of Eric Holder. As anger spilled into streets all over the country, a movement to keep black dollars in the community began. There was the ‘Boycott Black Friday’ Movement, which, wasn’t very successful. There were posts on Facebook from black businesses asking for support of their products. There was even a call to not purchase on Cyber Monday. Today, seeing the news clip of the hordes of black people lined up to receive a purchase voucher to buy the $200.00 shoes made me angry. Once again, we just don’t get it. First, let’s talk about the fact that for years- dating back to the late 80s, people have been dying after being robbed of Air Jordans. When Nike releases a ‘specialty’ shoe (as they did last year as well), people become violent in crowded lines just to purchase them. Now, in December 2014 we are still stepping over each other to purchase a $200.00 tennis shoe. Second, let’s talk about money. According to the Neilson Company, Black spending power is expected to reach 1.1 trillion dollars in 2015. The lifespan of a dollar in the Black community is 6 hours compared to 20 days for Jews, a month for Asians, and 17 days for whites. How can we have that much buying power and have no wealth? It’s very surreal to be reeling from yet another senseless death of a child – this one a robbery victim, witness weeks of “Justice for Mike Brown” and “I Can’t Breathe”, to witnessing this spectacle of materialistic spending – and the violence that it created. We have to get our priorities straight. Michael Jordan has more money than he will ever spend in his lifetime and Nike (and other companies) is going to use him (and other ‘celebrities’) to milk the Black Community until we wake up and stop trying to outspend each other. Instead of standing for hours pushing and shoving each other, we need to focus on the real problems in our community. I’m sure Demarcio Bailey would appreciate the effort.